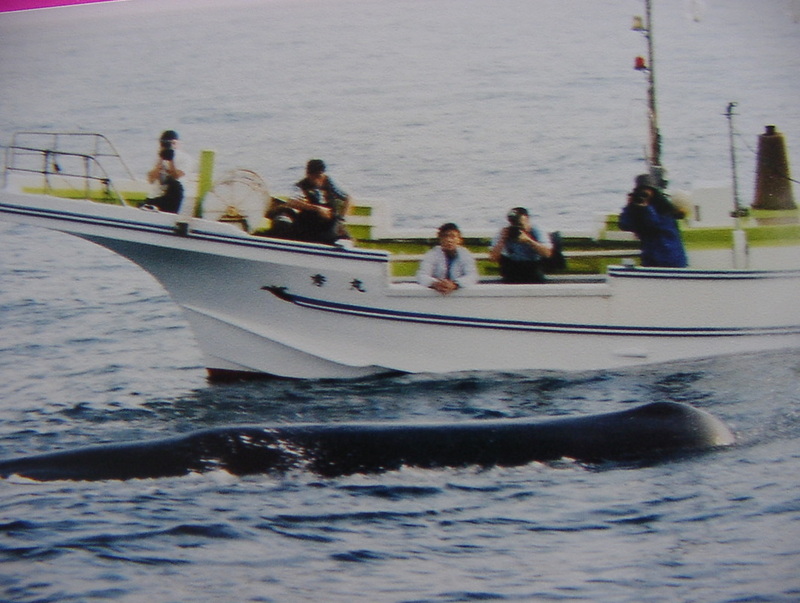 In 2002, I along with some others met Hardy Jones in Futo Japan to be there for the launching of a new business venture, namely dolphin watching, initiated by Izumi Ishii, a former 3rd generation fisherman whose family business had included dolphin killing. 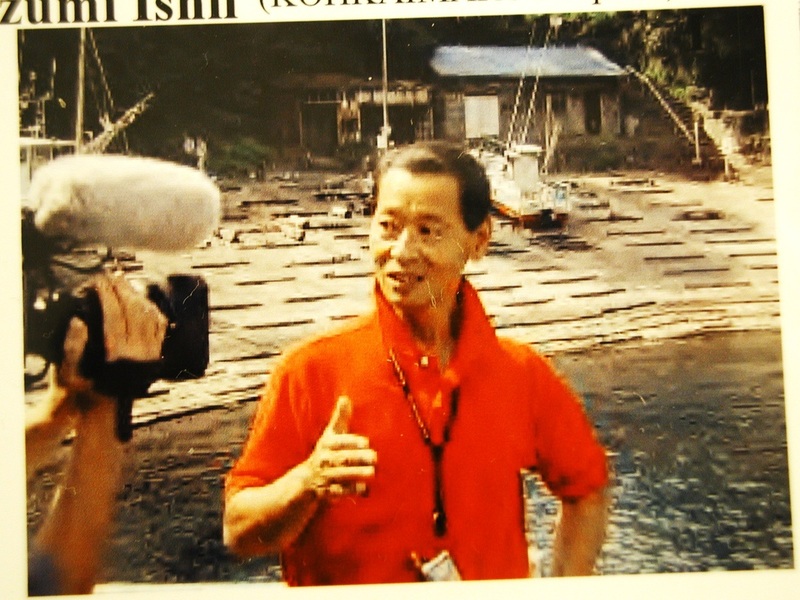 In 1997, Mr. Ishii had an epiphany when he saw a dolphin squeeze its eyes closed right before its throat was slit. In that one moment, he knew he could not continue this family and cultural tradition. 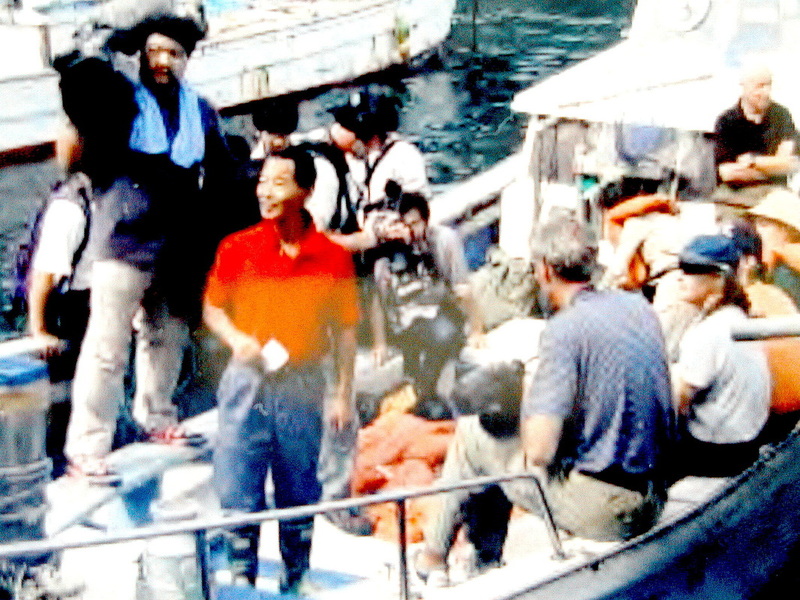 In his commitment to stop all dolphin killing, he then began the hard part of his journey which included being ostracized and even threatened by the other fishermen who saw him as a traitor, but Izumi held his course. He decided there was money to be made to support his family by using his boat to take people out to sea to watch dolphins and whales. He put everything he had on the line to launch this business. Hardy, and the others, myself included, were there for launch day to offer support. The press and media turned out in full force. There was a media boat, and Izumi’s boat. We set out to sea to locate dolphins. We were out there in the open ocean for hours, and there was not the first dolphin. It was a very discouraging time, heading home. Izumi was stoically soldiering on when, suddenly, there was a huge spout of air and water in the distance. A sperm whale surfaced and swam between our two boats (see the picture). This whale stuck his head straight into the television camera lense on the media boat and stayed with us for what felt like an eternity. It was clear as could be that this whale was conveying a message. “Write a good story”, he seemed to be insisting. The whale was as long as our boats. He commanded so much joy and respect. We all knew, once he appeared, this was a very very good sign. And indeed it was for the business has done quite well though all that Japan has been through last year took a toll. Meeting Mr. Ishii in person was an honor and I count him as friend. Hardy Jones did a documentary on his story entitled “When Dolphins Cry” (available through Bluevoice.org) which I highly recommend. The journey from my seeing the Iki Island video (by Hardy Jones) in 1977 with the footage of the dead and dying dolphins to 2002 and seeing Mr. Ishii’s smile and happy heart at the changes he has made gives me ever so much encouragement about what is possible when man and nature decide to bond.